Blogging is the best career option nowadays. It lets you earn a decent income by writing contents on your favorite subject. We know several bloggers who earn thousands of dollars from their blog website. They have a huge number of regular readers, so getting traffic is not a difficult task for them. But what about the newbies? If you are a beginner or a small scale blogger, just follow our SEO tips to divert more traffic to your contents. They are useful to quickly improve the traffic and build your own audience for your blog. These are our basic SEO tips to enhance your search engine presence and page visits. Know what readers searching now. Explore the latest search trends in your niche and find the keywords with low-competition and a good number of monthly search volume. Read web articles as much as you can to write perfect content on the subject. Target similar keywords and optimize your post for search engine traffic. Write lengthier posts. Furnish detailed and accurate information on the subject covered. Experts say that posts with at least 1000 words will drive bring website traffic than the ordinary posts. It is also effective to convert your visitors into regular readers or fans. Publish posts at regular intervals. Try to publish at least 3-4 posts per week. If you are frequently publishing, search engines will come to know that you’re very active on the site. This strategy will bring more traffic from Google, social media, and also direct page visits. The visitors should come to your blog by seeing the title. We can use the titles like ‘Top 10′, ’10 best plugins’, ‘ultimate guide’ for getting more traffic to the site. People have a tendency to click on these kinds of titles from the search engine results and social media posts. Add beautiful royalty free images in blog posts. They can drive massive traffic to your site from the image search. Optimize your blog post images with proper title and alt attributes. 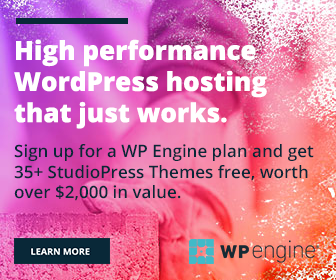 If you are a WordPress user, install an SEO plugin on the blog. It will guide you to optimize content for search engines, Facebook, and Twitter. You can set focus keywords, meta description, image attributes, manage keyword density and perform other optimization tweaks with an SEO plugin. Add simple, lightweight social media sharing icons on your posts. There are many social media plugins available for WordPress websites and if your blog runs on any other platform, directly upload icons to your site. Run a contest on your blog, ask readers to share the post among social networks to participate and win. Reward the winners with some gifts, e-books, license keys, etc. You will get such things easily by contacting software companies or sponsors. Create an account with Google webmaster tools and Bing. Submit your link to them as soon as a post is published. You can also submit an XML sitemap of your site to quickly index a page or archive link. Check your webmaster account regularly and monitor the error notifications from Google. Identify your mistakes and fix issues as early as possible to improve your search engine visibility and traffic. Page speed is a major factor in determining your ranking and visits. There are several things that affect the speed of a site including hosting service, themes, images, and others. Monitor your page speed with prominent insights tools and follow their suggestions to improve the performance of your blog. Internal linking is the proven method to improve your internal traffic and reduce the bounce rate. You can link to another post by keywords, a hyperlink with the post name, and related post plugins. It may divert your readers from one post to another and thereby force them to remain on the site for a long time. Find how many dead links you have on the site. They will unnecessarily pass your link juice and affect your online reputation which will reduce your search engine ranking also. Detect your broken links and edit or remove them to restore your rankings. Can you forget social media sites? Nope. They can drive huge instant traffic to your contents and make them viral among enthusiasts. Always share posts at the peak time of the region where most of your audience resides to ensure maximum engagements and clicks on them. The time will vary by each country, city, and social network. Share your post on Facebook profile, business page, and groups. Know how to schedule and share your posts on Facebook. Share your post among followers on Twitter. Use Twitter cards with a large image to get sudden attention of the visitors. The micro-blogging site also allows you to schedule tweets for the peak time and increase user clicks. Pin your post images to a separate board on Pinterest. Know the 9 ways to use Pinterest to bring massive website traffic. Flipboard is a useful option where you can create magazines on various topics. Create your blog specific magazine and share your new posts there. Follow active Flipboard users in your niche and flip interesting contents to your magazines. Thus you can build relations with popular marketers and expand your network. Create and publish slides on Slideshare. It is one of the top content marketing sites and can bring your site to new heights. Video marketing is the latest trend in digital marketing. Create a video for your posts and upload it to own YouTube channels. Follow video channels in your niche and interact with them through comments. This strategy will help you to grow the channel and get page visits. Use the question-answer site Quora for blog promotions. Unlike other social sites, you can’t share the links directly there. Find questions on various topics, answer and if you have relevant posts, put links there. Reddit is another popular tool for diverting traffic. Create an RSS feed for your blog. Google offers such a free tool in the form of Feedburner. Add a sidebar widget on your site for readers to subscribe and get notifications on your latest posts. Know how to use Feedburner to automatically share your posts on social media. There will be evergreen posts on any site. Share them periodically on social sites to get traffic. You can make use of plugins and social media marketing tools to automatically recycle contents on social sites. Learn How to Recycle Your Old Blog Posts; 14 Ways for Regenerating the Traffic. Relationship building is an important part of successful blogging. Interact with your fellow- bloggers, connect with them through social networks and interact to build strong relationships as well as explore new opportunities. Be active in your blog conversations. Respond to the commenters in time, politely and positively. So the readers will feel that you value them a lot and regularly visit your site to leave their feedback and thoughts. Submit contents to blogging communities. It’s very beneficial to get more readers who are interested in your niche. That’s not all. You will get a chance to go through the interesting posts of other bloggers around the world. This reading process will help you to improve knowledge and vocabularies. A free course to reach new milestones in your career. Isn’t it? There are hundreds of blogging forums in every niche. Find them, learn new things, explore opportunities, and expand your network to boost the website traffic. Spend time to read the blog posts of others. Don’t forget to leave your thoughts and feedback there. Blog commenting is a simple method to connect with new people, build backlinks, and get page visits. Write posts on top-rated websites and blogs. Guest posting will help you to get new readers and linkbacks which will boost your rankings as well. Ask fellow bloggers to write on your site. Naturally, they will share such posts among their friends and followers. This method is useful on several grounds. You will get articles on topics in which you are not comfortable, articles base will be improved and more articles means more ways to get the traffic. Monitor your website traffic with Google analytics to identify your traffic sources and popular search queries. Modify your popular posts with updated information and relevant internal links to boost user clicks. You can also consider writing follow-up posts on such topics to earn new organic visits. Promote your website with email signature. Add your website address and social media links to your signature to quickly promote your site through regular emails. Learn How to Easily Create Your Email Signature with Social Media Links.